← 21.2 Alterations: Doctrinal Considerations. 7. Addition of miscellaneous detail. In quite a few manuscripts additional miscellaneous and some trivialities had been added, like the name of the companion of Kleopas on their way to Emmaus; or the supposed names of the robbers being crucified with Jesus. In another is found an interesting description of the resurrection of Jesus. 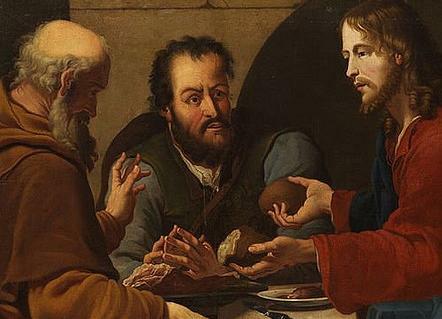 Another tells of what more Jesus supposedly had told Peter concerning the paying of taxes just before He instructed him to catch the fish in whose mouth he found a coin to pay their temple taxes. In yet another manuscript is recorded what Jesus told a man working on the Sabbath. Most of these additional notes are found in single manuscripts. They have no other value than to let the light fall on the human involvement in carrying forward the word of God. They are handled as peculiarities of that specific document. What is important is the rest of the manuscript in which it was incorporated. What was written down, had been available to the scribe at that particular time. With all trivial matter set aside, and conspicuous mistakes taken care of, we have a document with which to compare with other documents, bringing us nearer to every single word of the original autograph. The answer to these questions will inevitably influence the way we handle the differences between the various versions of the Bible. This is a personal matter, but taking the facts seriously, one should come to the point where the work of translators is appreciated. Be lenient towards the choice other Christians make concerning the Version they prefer.